We’re in the midst of cleaning out 25 years of accumulated stuff in our house in order to sell this house, buy a new house in Ann Arbor, and move to the University of Michigan by September 1. As I was cleaning, I found the below — my original statement of purpose that I submitted to the University of Michigan in 1988 to start my doctorate. I shared it with some friends, ruefully. It felt silly, as well as grammatically flawed. I really did think that I was going to get a faculty position in “Computer Science and Education” when I graduated in the early 1990’s. I was naive, maybe even delusional. I had no idea what academic CS was like when I applied. The reality is far different than what I imagined. At the Home4CS event just this last April, I mentioned that it would be great if we had CS Education faculty slots in Schools of Education today. As Diane Levitt reported on Twitter, the audience roared with laughter. How crazy was I to think that we’d have some in the 1990’s? But now, some positions like that do exist. There are faculty who have been hired at US higher-education institutions to focus on CS Ed. My new job at the University of Michigan is a joint position between CS and their Engineering Education Research program. It took 25 years, but yeah, I’m going to have the kind of job for which I earned my PhD. Some friends encouraged me to share this statement. Maybe it’s a good thing to have naive new PhD students. Maybe that’s what we want in PhD students. We want PhD students to think long term, i.e., to have bought into a goal, a set of research questions, or a vision — and be willing to work at it for decades. Eventually, if the student is really lucky and others are working on similar visions at the same time, the vision doesn’t seem not quite so naive, not quite so delusional. I’ll be taking some time off from the blog while making the move to Michigan. I may post some guest contributions over the next few weeks, but for now, I’m putting the blog on hiatus. Entry filed under: Uncategorized. Tags: computing education research. I think optimists who can take some bruising wind up helping a lot of good things happen. Pessimists opt out in various ways, and miss most of what’s important. So I don’t think your statement of purpose is at all naive — you identified a true and important need, and have set out to make things happen along these lines over decades, and have indeed helped a lot of good and important things happen. And I don’t think that the hopes expressed in your purpose statement are delusional. They are in fact about real things and real possibilities. The learning curves for science and decisions-via-real-thought are extremely quick compared to the general processes operating in most people, which revolve around a kind of societal consensus (if almost the entire population kind of agrees, then you can get a large decision — this often will take 30 years or more for enough people to get comfortable). This allows for some large changes over 100 year comparisons, but very few qualitative ones in the up to 20 year range. So: most people now use computers, but almost exclusively as a more convenient way to deal with old media of every kind. 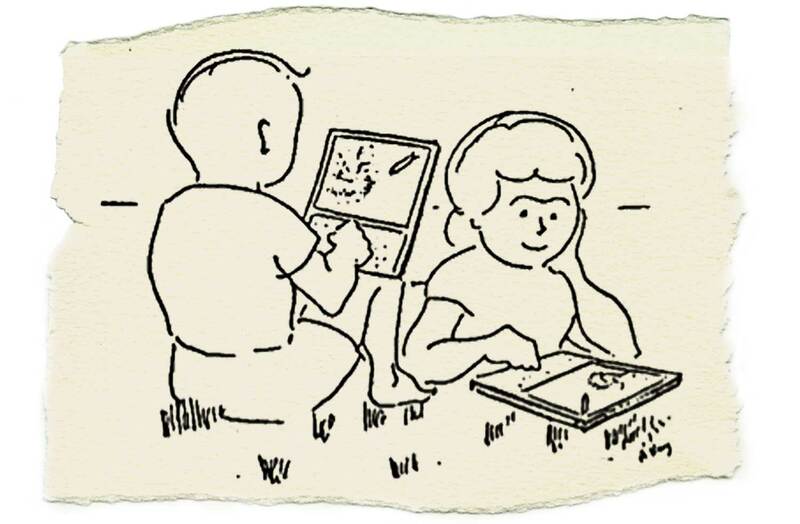 Almost no one yet — and especially in education — understands or uses computers for their most powerful properties. I think education is perhaps even more resistant to seeing what’s needed and what can be done. It’s great that you have followed your purpose … and still are! Just wanted to say best wishes and good luck in the move. I’m at Grand Valley State University across the state from you in Allendale/Grand Rapids — maybe we can host you at our place sometime for a seminar. Thank you for sharing your story! I think the grad students who are going to do important work have idealistic and naive ideas, instead of fitting into the current established paths. Good luck in your new role!